A couple of days ago, my husband and I were going out for lunch and decided to seek out a new restaurant. We picked a destination and I used the map app on my iPhone to locate restaurants in Arlington Heights. 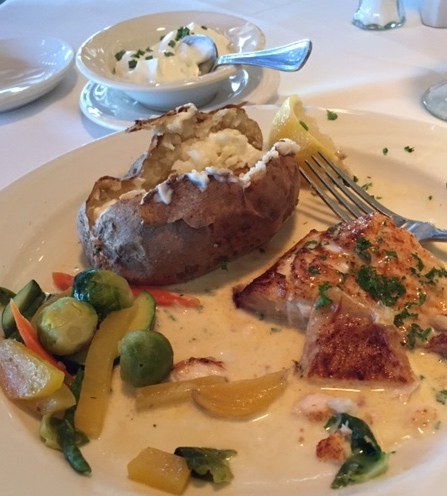 Our choice was the Palm Court restaurant on the northwest corner of Palatine Road and Arlington Heights Road. In spite of it’s location at a major intersection, it still has a rather tucked-away appearance. Surprisingly, even tho we were rather late for lunch, there was a little wait. (A full parking lot is always the sign of a popular restaurant.) We were seated after a very brief wait, and had a table with a love seat, rather than chairs. Quite cozy. Let me say that the restaurant dates from 1979, but the decor and ambience seemed to be from a much earlier date. Waiters were professional, black-aproned over white shirts, and the food is delivered on carts with hot food covers. 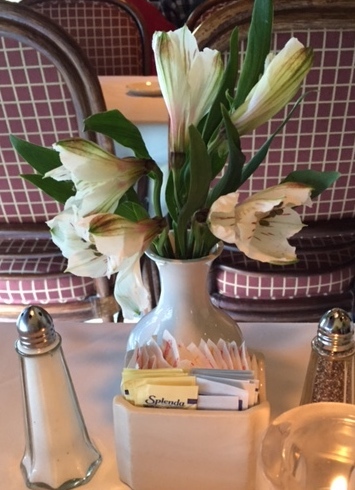 White linen tablecloths and fresh flowers greet the diner. A really pleasant throw-back to an earlier time. One could easily expect ladies with upswept hairdos and open-toed shoes being escorted to the tables. 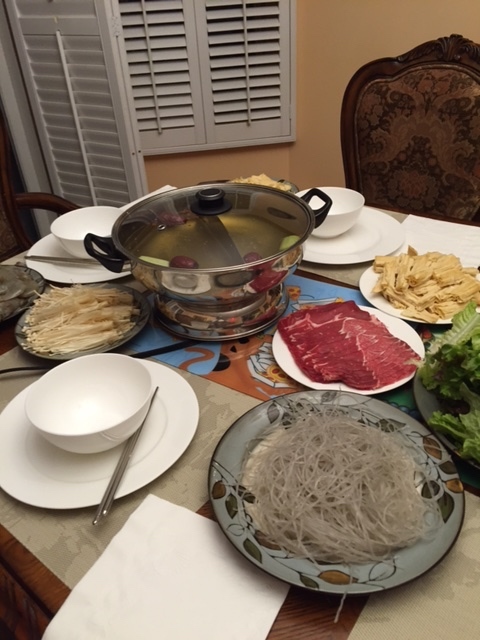 The restaurant has a predominantly seafood menu (with both lunch and dinner options). While there aren’t specific gluten free options, it is easy to find an appropriate choice from the many offerings. and a side salad. The salad dressing was very rich and thick, and the sour cream for the potato was served in a generous dish. It’s so refreshing to have a waiter who can converse intelligently with the diners, and isn’t restricted to the canned comments and “have a good one” so often encountered at fast casual restaurants. Many of the reviews of Palm Court comment that the diners tend to be older, and this is quite true, but there are plenty of people from local businesses, and ladies out for lunch, too. The restaurant also has a bar and cocktail lounge with live entertainment. We’ll definitely go there again soon. I highly recommend it. 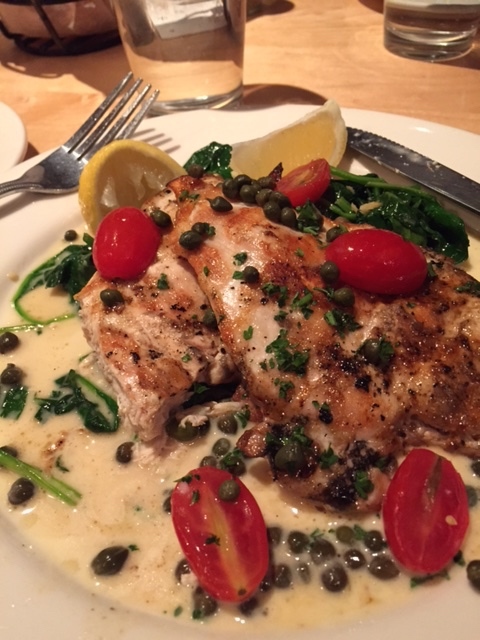 This entry was posted in Restaurant Review and tagged Arlington Heights, gluten free, great ambience, Palm Court, whitefish on December 20, 2015 by goforsix. This restaurant was the subject of my first blog posting, and is highlighted as a favorite in my list of restaurants. Anyone looking for a place to eat on Michigan Avenue should definitely plan on trying Mity Nice Grill, part of the Lettuce Entertain You group. on to the great menus, the just-right service, and the generous portions, the dining experience is excellent. There is enough of a buzz in the restaurant to add a little excitement, but it is not too noisy for comfortable conversation. It is an almost-secret refuge from the hustle and bustle of the mall. For my meal this time, I selected Minute Chicken Terri D, which was excellent. My husband had a grilled cheese sandwich, and our friends had soup and shared a sandwich. There is a big selection of root beers. 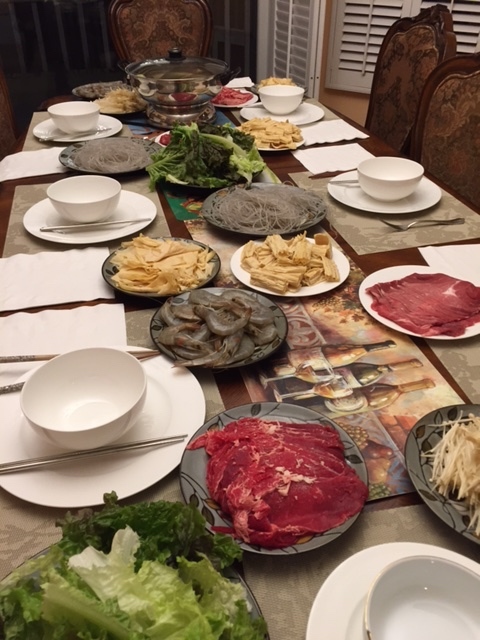 All in all, a very satisfying meal. 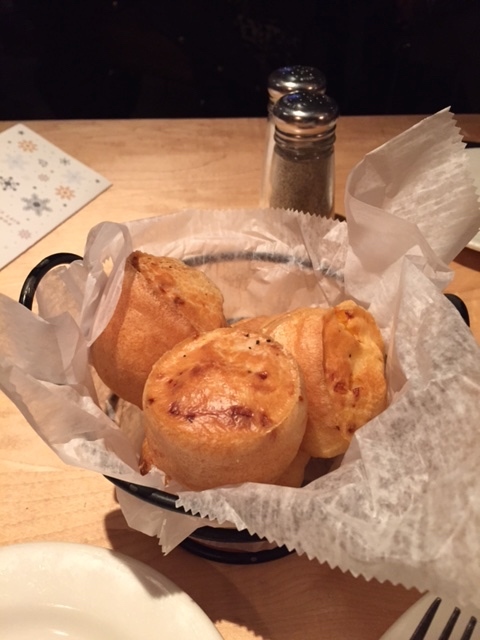 This entry was posted in Restaurant Review and tagged Brazilian Cheese Bread, gluten free, Mity Nice Grill, popover, restaurant on December 7, 2015 by goforsix.